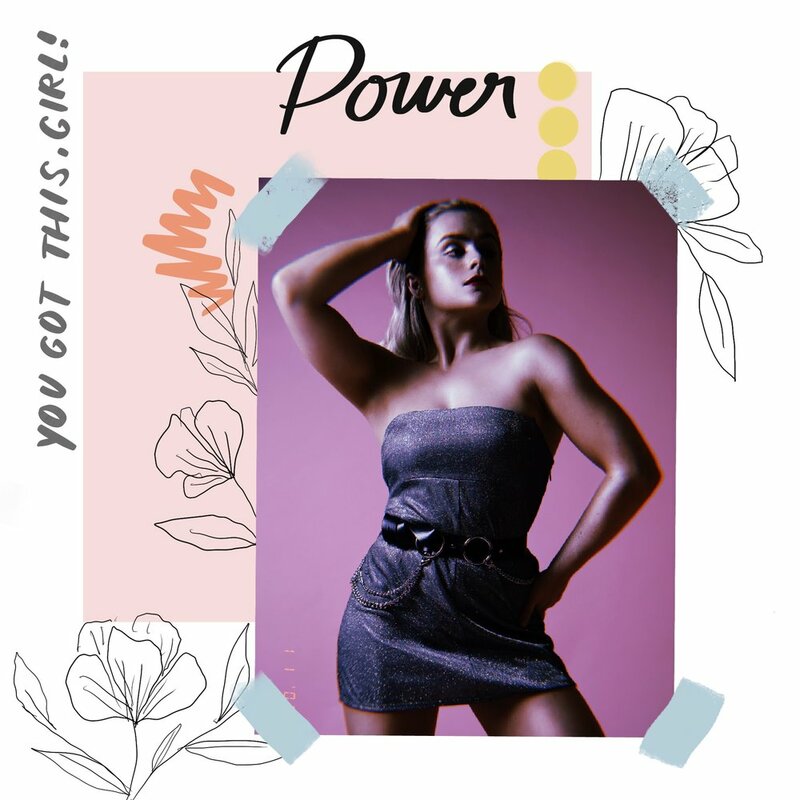 HANNAH CLEEVE — YOU GOT THIS, GIRL! Our #FEMMEFEATUREFRIDAY this week is the insanely talented and ever so sweet, Hannah Cleeve! If you’ve had the chance to watch this girl dance, you have zero doubts that Hannah was born to be onstage. Currently, this superstar is living out her childhood dreams as a professional dancer in the United Kingdom. Hannah is a warmhearted and fun-spirited girl, someone who you just love to hang out with. She is the embodiment of girl power, and the kind of gal pal you simply love to make memories with and call upon when in need for some girl talk and life advice. What we absolutely adore most about Hannah is how she keeps it real. She always remains optimistic and encouraging but rest assured, this woman is not afraid to voice her opinions or give it to you straight! As a classically trained dancer and versatile performer it’s no surprise that Hannah has effortlessly made her mark in the commercial dance industry in both LA and London. Some of her credits include, Camila Cabello ‘Havana’ promo, BBC Radio 1 Teen Awards London, MTV EMA’s London, The Graham Norton Show London, Sukkiri TV and Music Station in Tokyo, Japan, LOS40 Music Awards in Madrid, Spain, Demi Lovato ‘Sorry Not Sorry’ promo, The Jonathan Ross Show London, Starley ‘Call On Me’ promo, Top Of The Pops NYE Special London, Tinie Tempah, and SW4 Festival London. Currently, you can catch Hannah dancing in Magic Mike Live London, choreographed by Alison Faulk and Luke Broadlick, under the direction of Channing Tatum. Look out world, this is just beginning for this powerhouse and we can’t wait to see what she does next! It is so empowering to see how Hannah has taken her life by the reigns. Despite any setbacks, this amazing girl remains positive and continues to count her blessings. She has proven that nothing can dampen her spirits or steer her off her path. She has learned to place her trust in the timing of the universe and whole-heartedly believes that anything that happens to her is happening for her. Talk about inspiring! Hannah evidently values growth above all and knows that her dreams are always worth the fight. Ultimately, Hannah believes that nothing is more rewarding than gaining resilience and learning your true strength as an individual by experiencing the hard stuff. Thank you Hannah for reminding us that when we embrace the challenges in our lives we open ourselves up to an entire world of possibilities! You are living your dream right now performing with Magic Mike Live in London! Can you tell us about your experience and how it feels to be a part of such an amazing cast? The only way I can fully describe this job so far is surreal. I feel beyond blessed to have been given half responsibility to perform such an iconic piece in the show. There are so many incredible female dancers out there so I’m still wrapping my head around the fact the I’m the one who landed this job! Everyday I’m inspired by working alongside such a talented cast, and to add to the surreal-ness, working with our Director, Channing Tatum and choreographers Alison Faulk and Luke Broadlick, is a dream come true in itself. It’s one big, talented, inspiring, loving, crazy dream come true family. The most rewarding part in all this are the feedback/messages I receive from women who come to the show. I get a LOT of messages saying I inspired them to start dancing again, or to take up dancing at all. My biggest goal is to inspire women so the fact that my 4 minutes in the show has such an impact on them and in their lives is so special to me. They also thank me a lot for ‘doing it for the girls’ and making them feel ‘girl power’! I’m doing my job right if that’s how I’m leaving them feeling. We love watching you dance! Tell us about your journey with becoming a professional dancer and how you discovered that this was your path. Thank you so much! I started dancing when I was 2, and I don’t remember a day when this wasn't going to be my path. I’ve just always known. Becoming a full on ‘professional’ has been hard work and continues to be, but that’s the nature of the industry and I wouldn’t have it any other way. I like to know I’ve had to work to get what I want, I’d never want to just be handed things. That’s not satisfactory and to me, I wouldn’t feel successful. After graduating from dance college when I was 19, I worked retail for a year. I hated it, I was hardly dancing at all and had no idea what to do to get what I wanted other than take class and get my face out there. The real world was scary! I decided to go to LA for 3 months during the summer when I was 20 just to train. I loved it so much that I went back again the following February and ended up living there for one year. I gained so many contacts, I trained with the best of the best, I gained my mentor Aisha Francis, and really began to establish myself as a dancer. Due to visa issues/denials, I had to return to the UK. By this point, I was now about to turn 22, and due to being in the States and not being able to work, I had yet to book a dance job. Eventually, at the end of 2017 I booked my first professional dance job and gained a dance agent. It took me 3 years to achieve this. It takes hard work, determination, rejection (in many forms) and motivation to never give up. It’s different for everyone, but without the traits just listed, this industry would be impossible to handle. Timing is always perfect for YOU. It’s hard not to compare yourself to other dancers and the timing of their careers, but you have to focus on you. My journey to becoming a professional has taught me so much as a person and a dancer. Since booking my first job, there have been ups and downs of course, but I have been extremely blessed. When times are difficult and I’m not getting any work, I just keep faith and know that what’s meant for me will never pass. My goal is to return to LA, and I know that I will, when the time is right. Who is your biggest female role model? How do you hope to inspire girls? Julianne Hough! Firstly, her career is outstanding. I strive to be known in the world as a ‘dancer’. She is famous, for her dancing, and she does everything from movies, TV, tours and shows. However, aside from her career, I think she's the perfect role model to the younger generation who follows her. She really focuses on mental health and uses her platform to talk about that and teach others how to focus on your inner being, which is something young people don’t get taught in school. Considering the fact that social media can be so toxic, it’s relieving to see such a successful, beautiful human being smart and showing that she's human too, and showing how she practices self-love every single day. I’d love to meet her one day and talk for hours about inner peace! I really hope to inspire girls in the same way. I get a lot of dancers and girls messaging me for advice on different things and I always try to reply, sometimes I end up sending strangers essays. I love helping people. I hope to show girls that they really can achieve everything they set their minds to, even the dreams that seem wild. No dream is too big or too small. And I hope I inspire girls to love themselves and not compare themselves to others. I hope to inspire girls to just go for it, and to never give up no matter what life throws at you. I could have let two visa denials get the better of me, but I refuse to give up until I'm in America. This sort of thing will show girls that they don’t have to take no as an answer! Now, I just need to achieve it ha-ha! Why is it important for women to know who they are outside of their relationships or careers? In many, many areas of your life, you are going to get a lot of people with different opposing opinions, throwing these opinions at you. You have to remember, advice from others is amazing, but their advice is a reflection on their own lessons from the past, and we all have different beliefs. So, you have to know when to take the advice and when that could be the wrong advice for YOU. Also, the reality is, everyone is looking out for themselves, so don’t let yourself get dragged into things that are only benefiting someone else and not you. Knowing yourself in this situation is very important as the other person may try to convince you that this is a really good thing for you. You have to look out for number 1, YOU. With that, you shouldn’t ever feel obliged to work on a job, or be with someone, or do something with a friend when it’s not right for you. Obliging to these things in order to not feel bad is sabotaging your own life and your own happiness for other people. It’s okay to do what’s best for you. Career-wise, know yourself and know your worth by not taking jobs or unpaid work that you know doesn’t reach your level or won’t provide growth or exposure. When dancers struggle, they feel like they SHOULD take these jobs just so they can say they are ‘working’. It’s not worth it and it’s unhealthy! Stay strong, know your worth, your time WILL come. Someone who fights for what they believe in, inspires others, is kind to others and works hard to get what and where they want. She doesn’t ‘use’ people to get to the top, and she hustles, follows her own path and she does so with grit and determination. She does all this whilst also living her life and knowing when to take breaks from time to time. It’s not all about the hustle. Making memories is just as, if not more, important.